It was the first time that my husband and I had traveled across the Atlantic together: US Airways 787 from Paris-Charles de Gaulle to Charlotte Douglas International on Saturday. Michel has visited me in the United States before, of course: the first time was in December 2009 to meet my friends and family, and the second time was in July 2010, when we got married before my departure for France. But Saturday was a particularly interesting travel day: Jean Reno and a jackass immigrant officer at CDG, an obnoxious flight attendant with an apple and a pear, and a surprisingly warm welcome at immigration control in Charlotte. 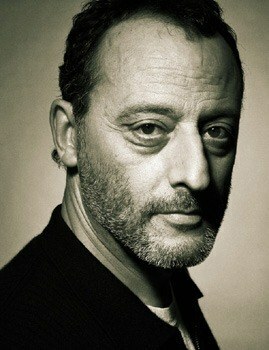 So, what does Jean Reno have to do with my travel on Saturday? No, he wasn’t on my flight. It’s just that some jackass in French passport control (the guys who usually can’t be bothered to say “bonjour” to you) decided that I’m his doppelgänger … an observation that he found particularly amusing for some unknown reason, and which he thought appropriate to share with his colleagues. Now, I’m not exactly complaining about the comparison to Jean Reno. He’s a good-looking guy. 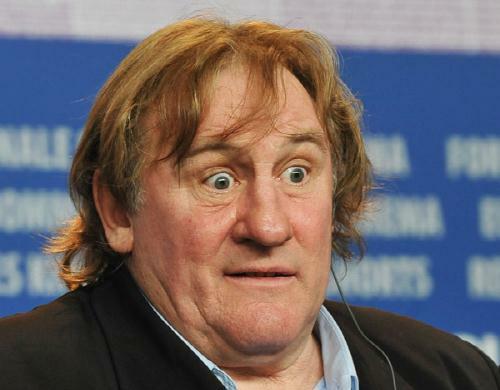 I mean, it’s not like this guy compared me to Gérard Depardieu or anything. It’s just that there’s nothing quite like having your passport waved around and laughed at by immigration officers before getting that departure stamp. Oh well. What can you do? Merci beaucoup, grand con. Bonne journée. In any case, that episode being over and having vented about it on Facebook (you probably know by now that I’m very good at complaining—a real râleur), we headed off to our departure gate. The plane itself was very comfortable and the flight, although incredibly long, was relatively smooth. Unfortunately, that’s where the praise ends. I was seated between Michel and a delightful French lady, who was flying for the very first time … on a trans-Atlantic flight at that! She was traveling with her son and daughter to visit her elderly godmother in North Carolina. Her godmother had met an American solider after the War and had immigrated with him to America. It was a charming little story, and an interesting segué to my own, once our neighbor realized that I was an American (not a Frenchman with a strange accent) and that Michel and I were married. By the time lunch service was finished, I felt almost as if I had made a friend. I also felt a little protective of my chatty little neighbor, since this was an entirely new experience for her and she didn’t speak English at all. She would like to know if she could have a fruit. What, this? Uh, nooo. This is MY fruit. I want to eat today too, people! She laughed and joked with her colleague as she walked away without another word to us. I was flabbergasted, and then just angry. Of course, no one begrudges our flight attendant her lunch, but there are much better ways to respond to your clientele than that, especially when your job is to welcome and cater to their needs. It bothered us so much that I decided to write to US Airways customer service about the situation and let Miss McNasty know what I thought about her on the way off the plane in Charlotte—not before, of course, for fear that she’d cause our flight to be diverted to Boston or somewhere, and you’d be reading about this on MSNBC instead of je parle américain. And they say the French are rude. Please. The rest of our flight went smoothly, but we were anxious to land in Charlotte. Before landing, we pulled out our customs declarations. If you’ve ever traveled internationally, you’re familiar with these little blue forms, where you declare to the officials where you’ve been and what you’re bringing into the United States. They’re especially interested in the ag products—you know: so we can protect America from non-pasteurized cheese. One of the questions on the customs declaration asks for the number of family members traveling with you. Michel wanted to know how he should respond since we were—for the first time—traveling together to the US. Initially, my reaction was to write “0” because, despite our marriage in Washington, the federal government doesn’t recognize our relationship. But then … I decided to be an activist. No, no. Wait. Put a “1”. You’re my husband whether they accept it or not. I’m traveling with you and you’re traveling with me. It might mean we’ll get more questions and—who knows—maybe a bad reaction, but we’re married no matter what they say. By the time we landed, I had gotten even more cocky; a number on a form wasn’t going to suffice. 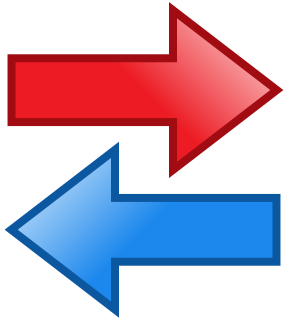 You may be aware that there are two lines in passport control: one for American citizens and legal residents, and another for everybody else. If only the government would recognize our marriage, Michel would be able to come with me in the American line. I was confident that he would not be able to do that with me in Charlotte on Saturday, but I saw no reason why I should not be allowed to accompany him in the “everybody else” line. We deplaned, and as soon as we entered the passport control area, I spotted the immigration agent tasked with parting the sea of travelers: Americans and legal residents to the left and everybody else to the right. On a réussi ! Je peux l’accompagner ! • We succeeded! I can come with him! When we got to the end of the line, we came upon another agent speaking French with an accent even thicker than my own. I was so proud. Finally! Someone was speaking French for our French visitors! He was welcoming the non-American passengers from our flight and directing them to the next available passport control agent. This is my husband. He’s French, but I’m an American. We were told back there that we could be in this line together. Oh, yes, of course. You can be with him in line, but he has to approach the officer and be interviewed alone. (after a brief pause and with a sympathetic smile) I’m sorry it’s still like that. Oh, I understand. Thank you very much. No problem. Number 12 for both of you. Just go up one at a time. I let Michel go first, just in case there were questions or problems. The passport control agent seemed to be pleasant, and I could overhear a few tidbits of their conversation from my vantage point. To the home of my parents-in-law. Oh, okay. And you’re living in the US? No, I live with him in France. Oh, you study history or something? (looking at my customs declaration) Okay, what food are you bringing back? Oh, just some jam … some candy … um … stuff like that for my parents. Okay. So, are you guys going to come back and live here in America one day? We’d like to in a few years. It’s not easy, but we’ll see. (stamping my passport and handing it back to me) Well good luck, man. Welcome back. What an unexpectedly warm welcome! I didn’t even have to play the angry activist. From there, it was on to baggage claim and then to meet my parents in arrivals. And then … on to Bishopville to get started on that extra 5 pounds we’re both going to gain while we’re here. God bless America. God bless customs and immigration at Charlotte Douglas. God bless my Mama‘s grits, biscuits, and fried green tomatoes!